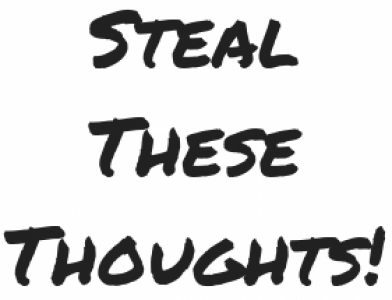 Philosophy – Steal These Thoughts! Taken straight from the philosophy of Captain Jack Sparrow and a sentence I regularly visit. We all have challenges and pressures in life that we can allow to get on top of us and feel like we have no way out. I sometimes allow myself to be driven by anxiety, so over worrying and doomsday scenarios are a daily normality for me. The ability to take a step back and re-frame what’s actually in front of me in the present has been a powerful tool and most of the time I find that the problem is not the real problem. Why not take a new approach and re frame your mindset to tackle what you may have convinced yourself to be the unjust problem? maybe you’ll find it was not the real problem after all. The sun reaching across the branches of a tree, the pain overcome from the tribulations conquered, that feeling of enjoyment, of love with/from another – this is what it means to be alive. It’s a cliche in today’s world, yet living in the moment is all we can truly do. It provides perspective on what is and what we have in that tiny piece of time, so be grateful for it, appreciate it and feel what it is to be alive. So I’m about to turn 30 — hooray, happy 3rd decade to me. My twenties are riding into the sunset and it occurred to me that I’ve learnt alot in the last 3 decades and maybe it’s worth sharing this with planet earth. So here’s the 50 or so (I tried to do 30 lessons in 30 years but I just had too much to share) I’ve learnt in the last 30 years — maybe they will be of help to you too.